Rate And Term Refinance Mortgage Loans may require full documentation as well as a new home appraisal. The easiest and fast track refinance loan program are the FHA Streamline Refinances and VA Streamline Refinances. 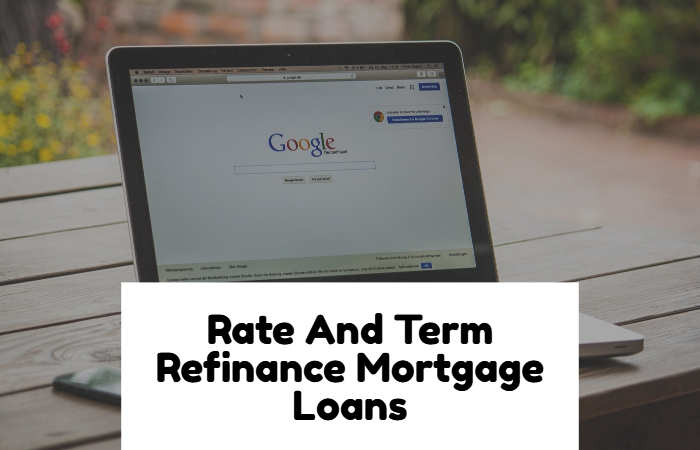 There are times when a rate and term refinance mortgage loans is required versus FHA Streamlines and/or VA Streamline Refinances. In the event if the mortgage loan is paid off is not an FHA insured mortgage loan and the borrowers have owned and occupied the property less than one year prior to the mortgage application date, the Loan To Value is based on the lesser of the current appraised value or original acquisition cost. Gustan Cho Associates at Loan Cabin Inc. offers escrow advances to borrowers to make the refinancing happen. Delinquent mortgage interests, late fees, and/or escrow shortages may not be included in the outstanding principal balance of the mortgage loan balance being paid off for the maximum mortgage calculation. Secondary financing such as second mortgages/HELOC may remain outstanding and subordinated as long as the combined CLTV liens do not surpass the 97.75%. Mortgage borrowers who need to qualify for any type of refinance mortgages, please contact The Gustan Cho Team at Loan Cabin at 262-716-8151 or text us for faster response. Or email us at gcho@loancabin.com. We are direct lenders licensed in multiple states with no lender overlays on government and conventional loans.